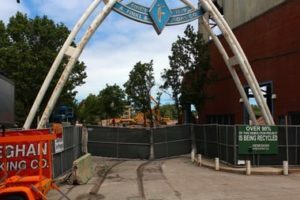 According to published reports in DNA Info and Crain’s, developer Sterling Bay and its investment partner in the deal, Dallas-based private equity firm Lone Star Funds has closed on its $100 million purchase of the Finkl Steel site. Mayor Emanuel’s Industrial Corridor Modernization – North Branch community outreach will host a public meeting on Tuesday, December 13, at UI Labs, 1415 N Cherry Ave, Chicago on 2016, from 6pm to 8pm. An RSVP is required to attend. Click here to register.